Is This Hidden Ingredient In Wheat Causing You To Gain Weight? the focus of this blog is how glyphosate may damage our metabolisms, causing many of us to gain weight. In essence, it is said to destroy the "beneficial" bacteria in our intestines, which is the kind of bacteria that helps us properly digest food and burn calories more efficiently. 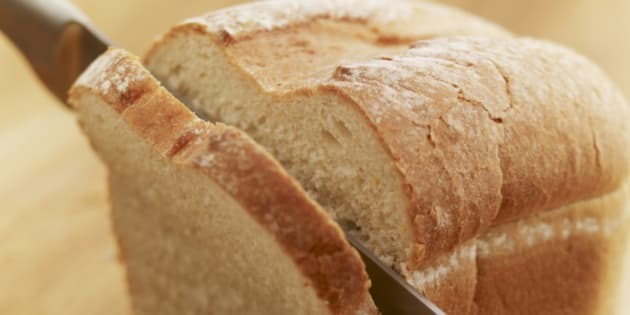 If you enjoy bread or any other wheat-based product, here's a bit of a spoiler alert: You may be putting on weight thanks to a hidden ingredient in modern-day wheat called glyphosate. This weed killer is the active ingredient in "Round Up" -- a ubiquitous herbicide that the giant, controversial agrochemical company Monsanto has popularized the world over. It's most commonly used on crops like wheat, soy and corn. And residues of glyphosate can be found in the vast majority of wheat-based products in supermarkets and grocery store, studies show. However an increasing number of scientific papers have singled-out this toxic herbicide -- which permeates most kinds of modern wheat -- as being potentially harmful to humans. For instance, World Health Organization's cancer experts last year declared the chemical a probable human carcinogen. And it's already been banned in a number of European nations. And after a lot of foot dragging, even the U.S. Food and Drug Administration finally announced in February that it would finally start to study the herbicide's impact on human health. That said, the focus of this blog is how glyphosate may damage our metabolisms, causing many of us to gain weight. In essence, it is said to destroy the "beneficial" bacteria in our intestines, which is the kind of bacteria that helps us properly digest food and burn calories more efficiently. For the record, Monsanto asserts that there's no valid evidence linking glyphosate to disease or illness and that residues on food are nothing to fear. Monsanto makes approximately US $15 billion a year in sales of weed poisons like Round-up and similar products. And it's permeating our food more and more. Glyphosate use by U.S. farmers, alone, rose from 12.5 million pounds in 1995 to 250 million pounds in 2014. That's a 20-fold increase. Is Monsanto right? Is there nothing to worry about? Well, maybe the jury is still out on whether glyphosate promotes cancer. But what about concerns that the hidden glyphosate residues in the bread you eat can cause weight gain? In recent years, this has become a hot button topic in France, where they take their food very seriously. Not surprisingly, French scientists have already produced a couple of peer-reviewed scientific studies on this issue, and they've been fanning the flames of controversy. For instance, a nine-year study involving 300 French volunteers revealed that a low genetic diversity of intestinal flora (bacteria) in participants translated into a tendency to gain weight. It also caused higher inflammation and greater insulin resistance, i.e. more insulin spikes). These were the findings of a research paper that was published in 2013 by the Institut National de la Recherche Agronomique, Jouy-en-Josas. Another recently-published French study tracked a number of overweight and obese volunteers who had agreed to follow a healthy, low-calorie diet. In this instance, their "metabolic markers" improved as the genetic diversity of their gut bacteria increased. In other words, they found it increasingly easier to lose weight as their metabolisms became increasingly more efficient. So here's an easy fix: To optimize your stomach's bacterial content and improve your body's digestive process, ensure that your daily diet includes high-fiber foods like fruits and vegetables, preferably organic ones. It doesn't take a lot of doing. One or two servings of each should do the trick, but more is better. Many nutritionists recommend up to five or six servings a day, especially of veggies. But be careful not to over-do it with fruit as this healthy treat contains natural sugars. Plain yoghurt also works well for cultivating intestinal bacteria, and so too do "probiotic" products (which can be found in any health food store). And finally, you might want to try doing without non-organic bread for a few weeks. And then see if it makes any difference to your weight loss goals. You might find it helpful. You might also be surprised by how easy it is to stop consuming a traditional food staple that's no longer as healthy as it's supposed to be.